The aerobic anoxygenic phototrophs (AAP) are an important group of bacteria making up large proportions of bacterial communities in both marine and freshwater systems. They thrive in the extreme conditions of hot springs, hypersaline spring systems, and hydrothermal vents and in the presence of high concentrations of toxic metal(loid) oxides. They likely evolved from the purple non-sulfur bacteria, to fill an oxygenated environmental niche, carrying out oxygen-dependant anoxygenic photosynthesis. Investigations into the ecological significance of AAP are in their infancy, although some speculations have now been proposed. 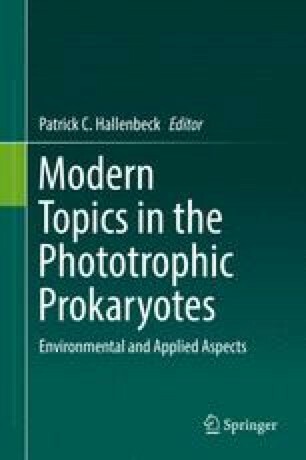 Additionally, modern studies are beginning to touch the paradox that is bacteriochlorophyll a synthesis in the presence of oxygen as well as the role of abundant carotenoids in AAP. The presence of numerous AAP in every environment tested, in addition to their unique photosynthetic arrangement, are mysteries that have garnered much attention among scientists since their discovery. This research was supported by an NSERC Canada Discovery Grant and GETS funds from the University of Manitoba held by Dr. V. Yurkov.